When it comes to retiring, you’ll want to make sure you’re as prepared as you can be – and one of the best ways to prepare for retirement is to make sure your finances are at their best. This can often be easier said than done, though. To get ready to retire, and hopefully retire early, you’ll have to prioritize your debts, save plenty of money to live off during retirement, and make a plan of how you will spend your money during retirement. Taking care of these three priorities can help you create your retirement goals. And you’ll need these goals to get your retirement plan started. To make planning for your retirement a little bit simpler, here are a few tips to help you manage your money and ready your nest egg in time for retirement. One of the biggest financial commitments of your life will have probably been taking out a mortgage. More and more people nowadays are still repaying their mortgage after they’ve retired – which can be quite difficult considering what’s likely to be your main source of income will go as soon as you stop working. So – while you’re still in work, it’s important for you to repay as much of your mortgage as you can do… so you’re not left servicing it in years to come after you’ve retired. You should check the terms of your mortgage to see if you’d be penalized for making overpayments (of if you’d be landed with an early repayment charge for clearing the debt sooner than agreed, for example). If you won’t be, and you’ve got some money you could use to significantly reduce (or even repay) your mortgage, you should consider doing this. If you’ve not got too many debts to worry about – or none at all – you might find yourself with spare money at the end of the month while you’re still working. Rather than spending this now, you could save it so it’s there to be used it in retirement – when your main income source has gone. 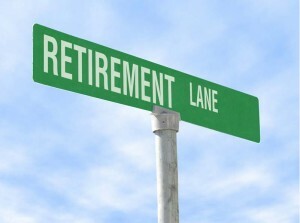 One advantage of this is that your savings will be able to accrue interest, which can really help come retirement! As well as repaying your debts and saving as much as you can do, another important aspect of managing your money for retirement is planning how you’ll be spending your savings once you’ve finished work. Are you planning to travel at all? Or perhaps you’re thinking of buying another property or a new car? Whatever you’d like to do, it’s important to plan out how much it could cost you. Knowing roughly how much you’re planning to spend will help put things into perspective and should give you an indication of how far you’ve got to go with your savings now! The years after work are supposed to be happy ones – so do all you can now, while you’re in work, to make the years after you’ve retired as enjoyable and comfortable as possible.